Last Saturday, I went to Manila to pick up new items. Miku Hatsune Cheerful Ver Scale, Yui Kyoto Animation Exc and Nano is finally here! Thank you My Japanese Hobby! 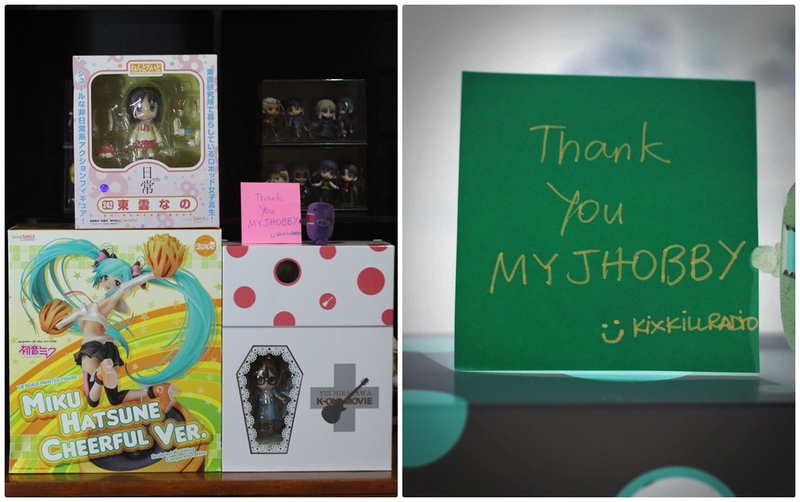 I’m not planning to open them yet, I guess I have to wait for Nendoroid Hakase to arrive. I need to think of new toy photography concept for Miku and Yui. Another good news, I got a winning prize in Tomopop’s Micropixel last month – still waiting for their email. I’m hoping to get Menma by Max Factory (cross fingers). Last week, I received a message from a popular toy company in Japan, asking me if i would be interested in taking pictures of their newest figure line. I am really happy and so excited! It’s an honor for me to be working with a toy company who makes an effort to produce such quality figures. I’ll be happy to lend my help to market their figures worldwide. wow cool you got invitation..? Heya, thank you! I’m sure you can do it too! I love your outdoor photographs!